The Caddo Parish Family Drug Court has now been in operation for nearly five years. This fact seemed to argue for a reflection on the accomplishment of the program thus far, and consideration about the possible future for family drug courts in Louisiana. 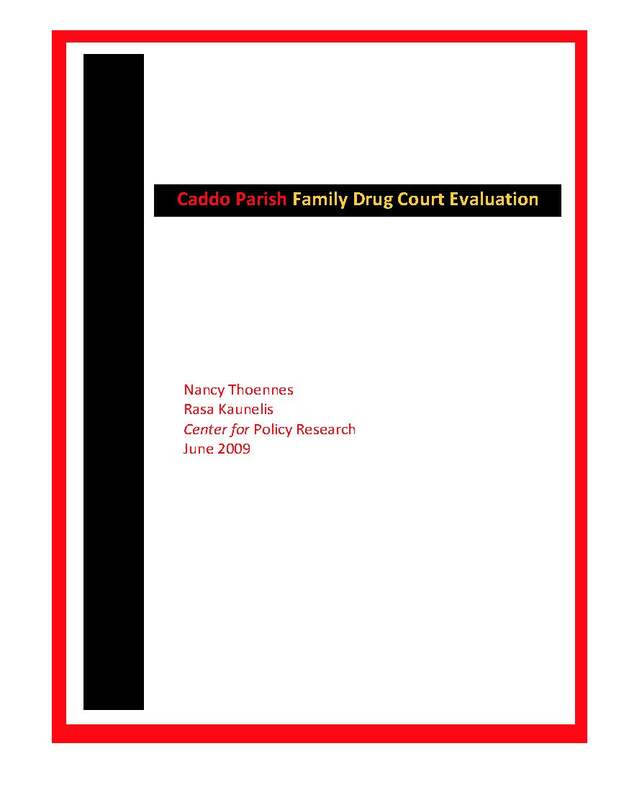 In conjunction with the Louisiana Supreme Court and the Caddo Parish Family Drug Court, a private non-profit research agency, the Center for Policy Research, was retained to conduct a qualitative assessment of the program.